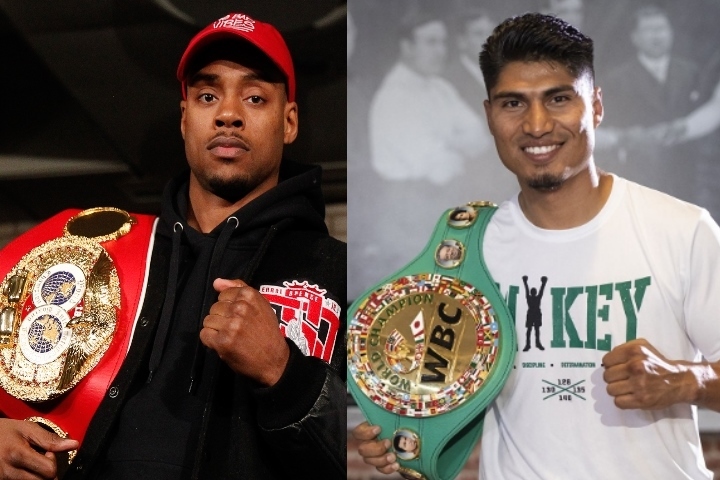 Mikey Garcia believes beating Errol Spence Jr. finally will earn him the credit he deserves. Thus far, Garcia feels underappreciated for his string of recent victories over Robert Easter Jr., Sergey Lipinets and Dejan Zlaticanin. Garcia won world titles from each of those three boxers, all of whom were unbeaten before facing Garcia. Garcia figures adding a championship in a fifth division by upsetting Spence (24-0, 21 KOs) on March 16 in Arlington, Texas, would be an accomplishment no one could downplay. The 31-year-old Garcia (39-0, 30 KOs) discussed what he considers the public’s perception of his resume as part of an interview with Tha Boxing Voice, which was posted to that website’s YouTube page Monday. “I’m gonna prove [it to] everybody on March 16th, when I get in the ring with Errol Spence,” Garcia said. “I mean, they have their point of view right now, their opinion, but it all is gonna change on March 16th, that night. You know, everybody doubts the little guy, everybody doubts that I can do this, it’s too much. But, you know, a lot of people doubted me when I fought Dejan. Only my second fight back after a 2½-year layoff, you know, and he was a knockout artist at the time. Montenegro’s Zlaticanin was 22-0, including 15 knockouts, when Garcia knocked him out in the third round of their January 2017 bout at MGM Grand Garden Arena in Las Vegas. He faced Cincinnati’s Adrien Broner next and won that 12-round, 140-pound bout by unanimous decision in July 2017 at Barclays Center in Brooklyn. After beating Broner (33-3-1, 24 KOs, 1 NC), Garcia moved up to 140 pounds. He dropped Lipinets in the seventh round of that March 10 bout and won a 12-round unanimous decision to take the IBF junior welterweight championship from Kazakhstan’s Lipinets (14-1, 10 KOs) at Freeman Coliseum in San Antonio. Garcia, of Oxnard, California, returned to lightweight for his following fight – a 12-round, 135-pound title unification match with Robert Easter Jr. He soundly defeated Easter (21-1, 14 KOs), of Toledo, Ohio, on his way to winning a 12-round unanimous decision July 28 at Staples Center in Los Angeles.